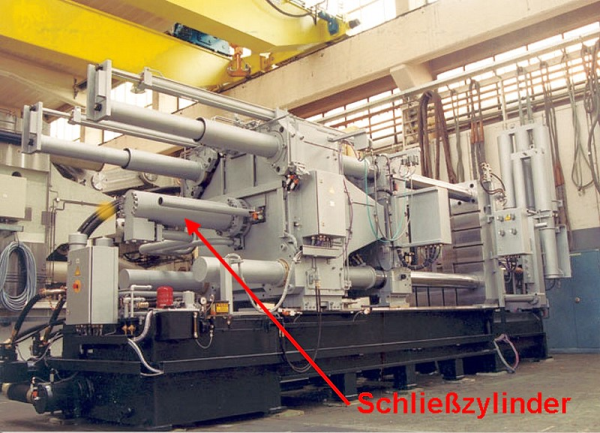 Hydraulic cylinder that generates the complete closing force with force-closed locking (see die locking) and ensures opening and closing of the die with form-closed locking while only a low degree of closing force must be maintained. The locking cylinder is an integral part of the die locking unit of a die casting machine (Fig. 1). 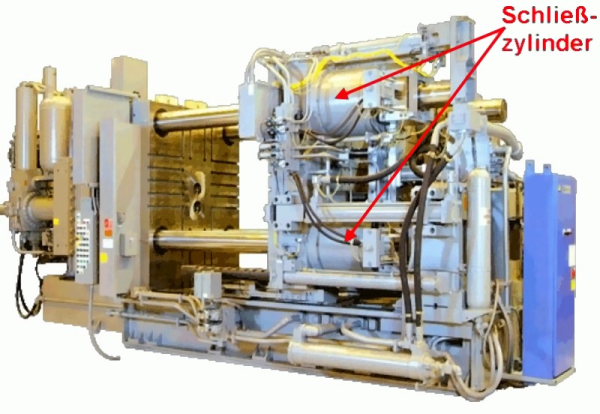 Except for two-platen machines, force-closed clamping is only common for relatively small machines or for thixomolding machinery (Fig. 2). 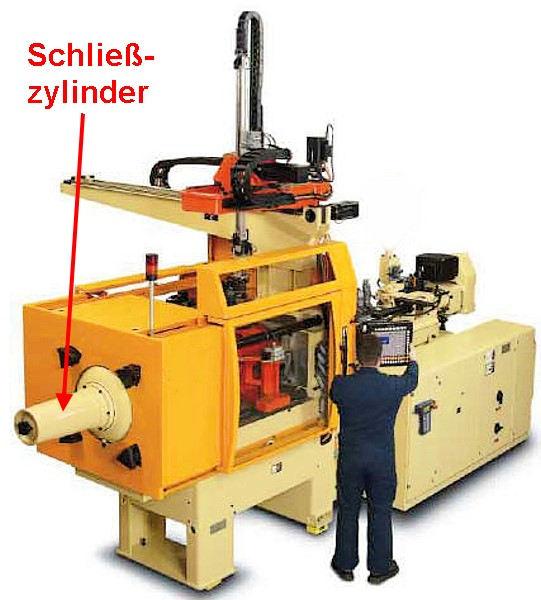 With two-platen machines, hydraulic closing cylinders at the columns ensure force-closed locking as well as generation and maintenance of the die locking force (Fig. 3). For conventional cold chamber or hot chamber machines with form-closed blamping (e.g. using a double toggle lever system) the closing cylinder is positioned at the rear cross bar (Fig. 4).